Remember when everyone used to tell you that having a farm blog was a priority – before social media was all the rage? 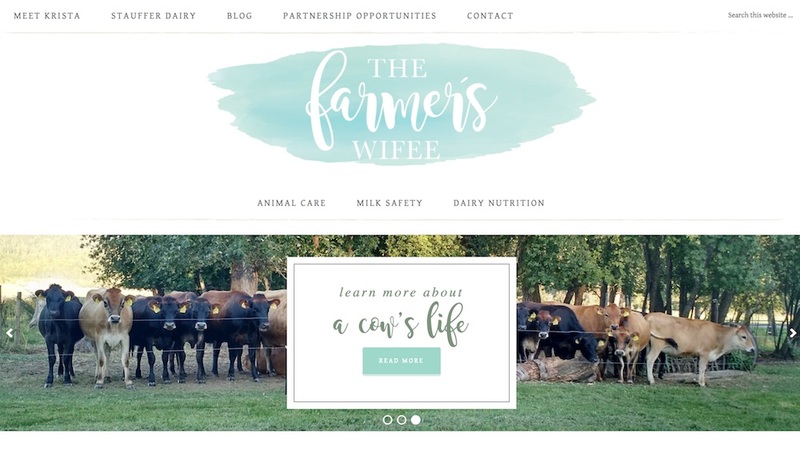 So, are farm websites and blogs worth the time to build? 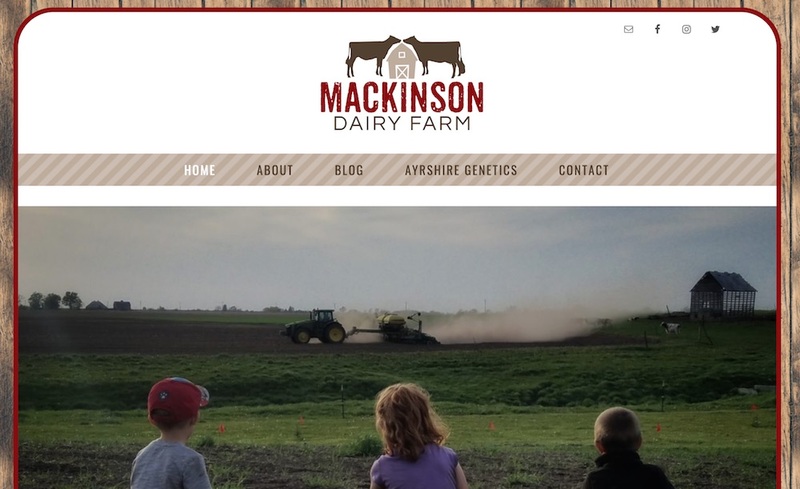 Yes, farm blogs are just as important as they were back before social media. In fact, they might be more important depending on how your customers are searching for information. I know it’s much easier to just use social media to communicate compared to using a website tool such as WordPress, Wix, Webbly or SquareSpace (common website building content management systems). 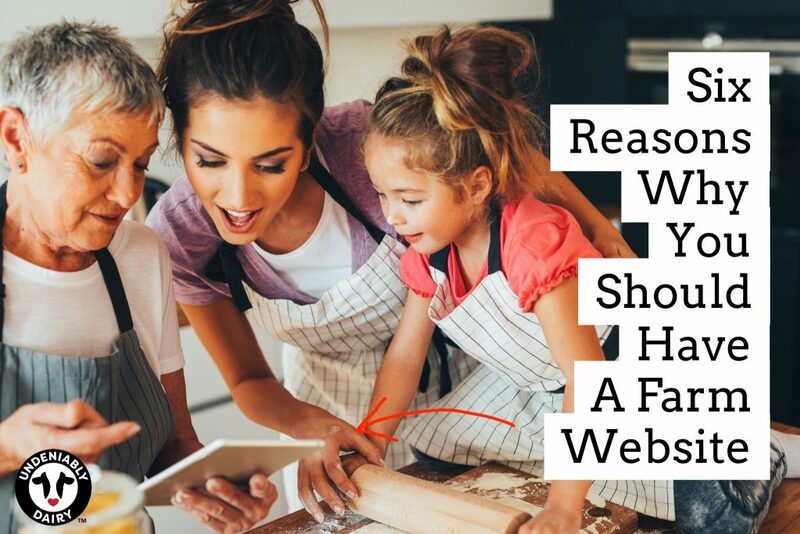 But I’ll give you six good reasons why having a farm blog or website is still something every farm should have (not just the ones that are advocating for agriculture). 1. You own the domain and property. You don’t own your Facebook page, Twitter profile, YouTube channel, Instagram profile, LinkedIn page, Snapchat, etc. … The company does and if they want to change the rules or if they feel like you violated them, then they can remove you and all your content from the system. With your own blog or website, you have full control. 2. A website can centralize all of your channels and content. You are spending a lot of time creating content for these various social media channels, but does anyone go back and read an old Facebook post or Tweet? No. But if you put the text, photos and video on your website, people will be able to go back and read them (and it will get indexed properly by Google, so it can be found through searches). 3. Google will index it in the 1st position when people search for your farm. Social media profiles rarely show up in the top position in Google’s search engine results page. If you want your farm name to show up when people search for it, then a website or blog is what Google will show first. 4. It will become the diary of the farm. 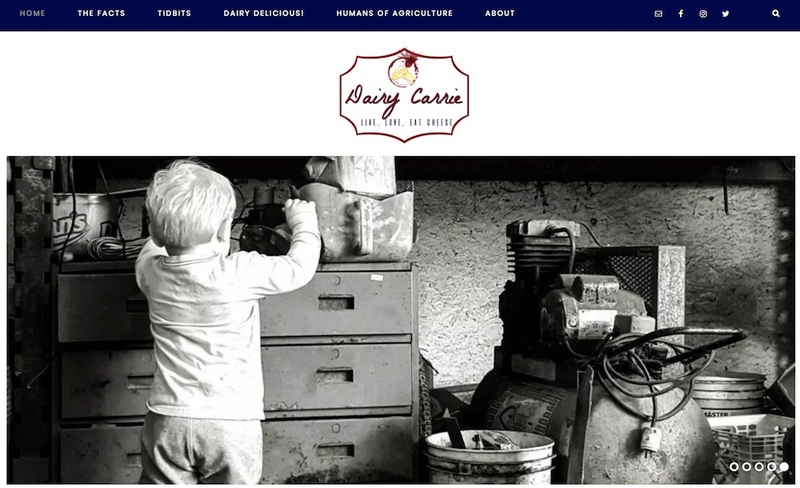 If you post content regularly to the website, then you will build a history of the farm through videos and photos that future generations can look back on for years and years. It will become the legacy of the farm. I wish my grandfather had a blog when he was building the farm from the ground up in the 1930’s. I would probably read it daily – over and over. 5. You can build an email list. Email marketing is still very powerful and highly affordable (it’s practically free with Mailchimp and Constant Contact). By building an email list with your urban and local customers, you can reach out to them at any time to let them know what’s going on with the farm. 6. You could make money with it. Many large brands use influencer marketing to get the word out about their new products. I have many farmer and urban blogger friends who make a living out of their blog by providing their large customer base with value through recipes and practical advice. The brands take notice of this and pay them to do sponsored posts (on social media as well) or through the Google Adsense Display network on their blog. All you have to do is set up Google Analytics on your blog to see how many people are visiting and what they are doing on the website. Blogs and websites are still very important to agriculture and I would recommend that every farm have one. If you need help setting one up, please reach out to me at don.schindler@gmail.com. Keep calm and blog on. This was originally published on Hoard’s Dairyman. Recently I’ve noticed that extremists have kicked up their online bashing and trolling of some farmer pages. I really hate that – it’s a crappy tactic. But it does really show how the extremists are not interested in people having a choice, they are interested in people subscribing to only their choice. It makes them look like a crazy cult and that’s fine with me. But because this is happening, I decided to re-release some of my past posts that deal with how to handle negative comments. Consider this kind of a quick index of negative links. I will say though that you don’t have to read all of these to understand what I’m getting at. 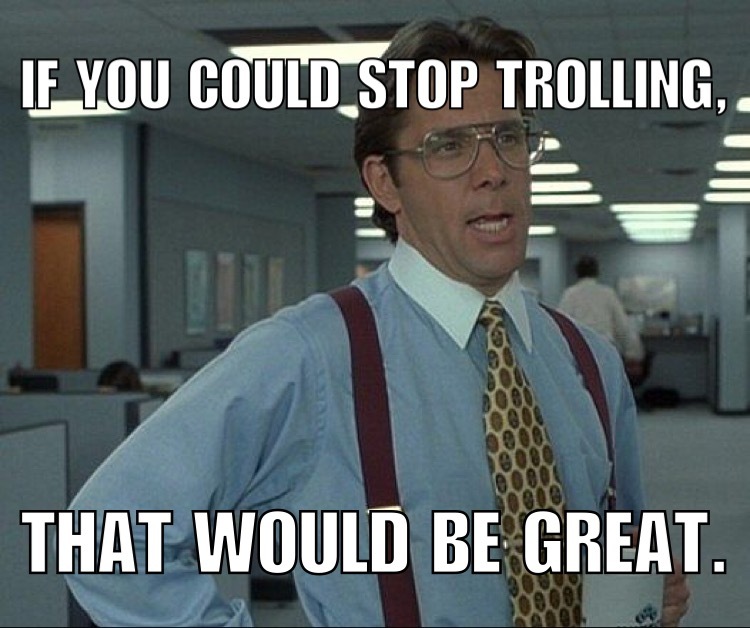 When handling negative comments or an online bashing by trolls, it’s pretty simple. If they aren’t attacking you in an obvious way, make sure to check their profile so you know they are a person and they seem normal. Usually extremists can’t hide the fact that they dislike your way of life and animal agriculture. If they are attacking – don’t answer them. Just delete the comment and block the person. Don’t feel bad about this. This is exactly the way they handle us when we question their logic or facts (at least what they consider facts). Here’s a bunch of pass posts dealing with negative comments. You just received a negative comment online, now what do you do? – This post goes through the steps and also provides a quick social media response flowchart. How To Handle Negative Comments On Your Facebook Profile – How to hide and unfriend people. How To Handle Negative Comments On Your Facebook Page – How to respond, block, delete, hide and just deal with the trolls on your page. How To Handle Negative Comments On Your Twitter Profile – How to respond and block if need be. 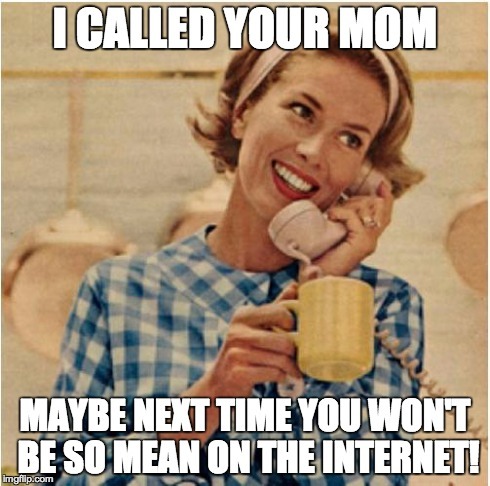 How Should You React to Cyberbullying – When Negative Comments Turn Ugly – How to dig in and find an attacker if things get real ugly. Also I never recommend handling it yourself – there are law enforcement that handles these types of things. Let them deal with it. If you need help, don’t hesitate to reach out. I’ll do what I can. How should you advocate for dairy farming in 2016? Check out how other dairy farmers did it in 2015. In the most recent MyDairy newsletter, we asked dairy farmers to share how they advocated for dairy farming. The feedback back and comments were great and I’ve decided to share a few below. 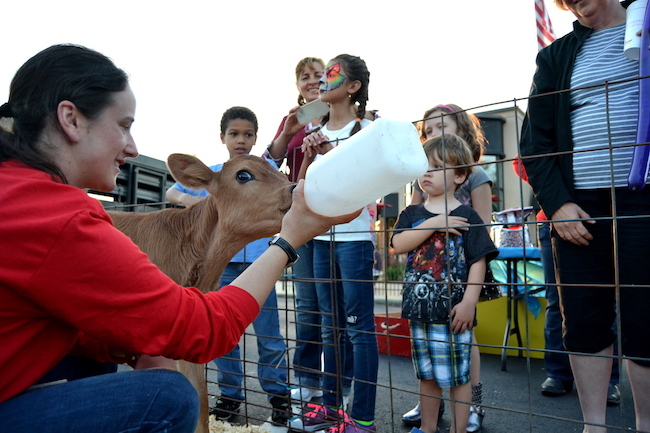 Danielle A. Mzyk, DVM/PhD Candidate at NC State, and several dairy medicine focused students, a dairy science undergraduate and a CVM veterinarian hosted a “Dairy Day at Chik-Fil-A” outreach event. As a member of the 9th class of the Young Dairy Leaders Institute, I was charged with hosting an outreach event in our community. With the support of several CVM alumni, faculty, house officers and students, as well as the leaders of the Howling Cow Dairy Enterprise and Lake Wheeler Dairy Research and Teaching Farm, I brought two jersey calves to meet with the public and answer any and all questions they had about the dairy industry. Over 100 people stopped by our booth to come take a look at the calves and talk with the future leaders of the dairy industry. We also had carnival games set up and prizes for the kids to win, as well as information, gifts and milk fact pamphlets donated from the Southeast Dairy Association. These are some impressive results from the 2008 presidential campaign. 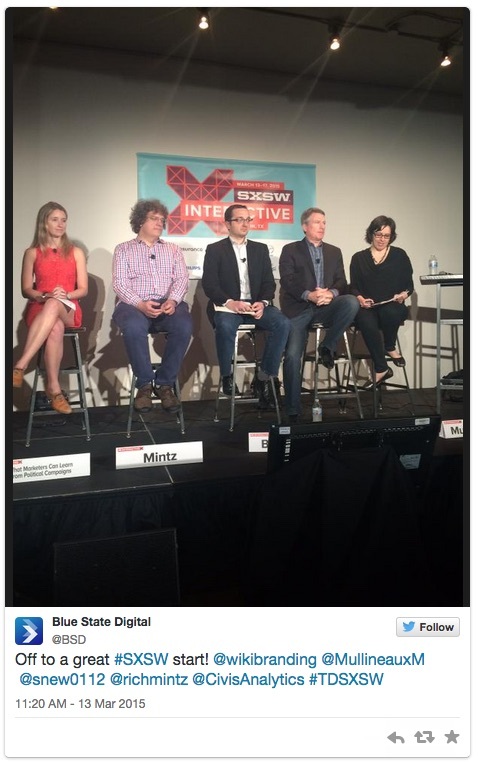 On my first day at SXSW, I attended “What Marketers Can Learn From Political Campaigns”. I was thrilled to hear Rich Mintz talk again – I first met Rich at Notre Dame when he came to speak with us about Obama’s 2008 presidential campaign. Rich went over how they used their digital programs to build a very energized and active community of advocates in a short period of time and then used this community to get the president elected. Now I don’t know where you fall in politics and frankly I really don’t care. You can check out my social media posts if you want but I never really discuss politics. To me, we get it from both parties way too much but that’s about as far I get with politics. 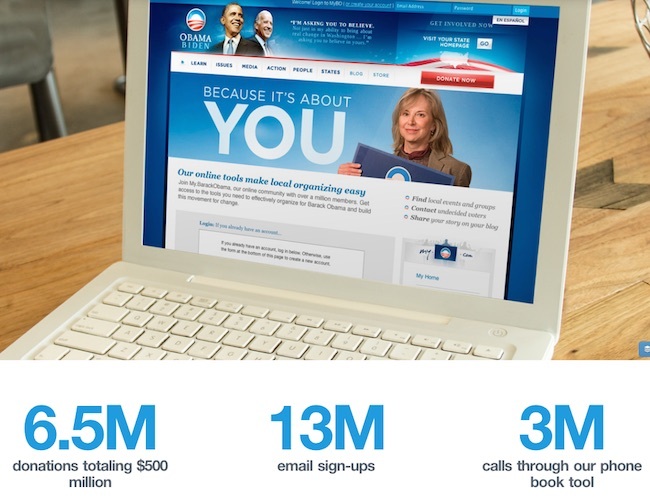 When it comes to how a campaign community was built and then used to activate people – I’m all in. And Blue State Digital is one of the best at doing this. Here’s what they said the panel would be about and they didn’t disappoint. “From the emergence of mass media via Television, political campaigns have used the medium with great effect to build belief in their candidates. From Eisenhower’s patriotic “I like Ike” campaign, to LBJ’s “Daisy Girl” commercial, campaigns used the broad appeal of television to create belief. Today, technology has democratized conversations and put power into the hands of real people—emphasis on real. What can Madison Avenue learn from this transformation? In this panel, we’ll discuss how brands and marketers can adopt the road-tested tactics of successful political campaigns, including smart data segmentation, rapid response, emotional storytelling, and influencer engagement. By moving supporters up the ladder of engagement and asking them to take more and more meaningful actions on behalf of the things they care about, brands can create a community of advocates prepared to act on their behalf anytime, anywhere. Here’s who was on the panel. You should definitely think about following these smart people. Here are my key takeaways from the panel that could help the dairy industry as it works to build advocates via their farmers, industry professionals and our wonderful customers. 1. You need to have the big data captured with the proper tools then turned into smart data to be able to adjust with the speed of campaign. In order words, you need to make sure you have the proper infrastructure in place. Customer Relationship Management (CRM), Email, Social Media, Advocacy specific tools all connected together then tie this to your listening and analytics tools so the big data turns into smart data. This is a big change for the industry who has traditionally allowed other partners within the industry (mainly retailers and some processors) to have those trusted relationships with customers. We need to be connecting directly and engaging as well. Because with data today, everything is knowable and the data and analytics of it can create a culture of curiosity in an organization. 2. SPEED and OPPORTUNITY are everything to a campaign. She said she was going to tell your dad! 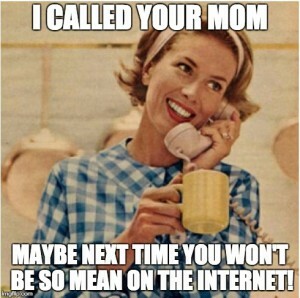 A friend of mine asked me what I would do when they came across someone hating on social media (not hating social media but being mean to someone online). First, I hate that crap. There’s really no reason to not be decent to everyone. Even if they are being mean to you, take the high road or just laugh it off. Nothing upsets a troll more than if you just don’t care. But I wanted to give my friend some practical advice. So what do you do when you come across someone going off on another person online. 1. First thing first. Remember that you are not the decency police on the Internet. Unfortunately this type of thing happens and you can’t control the actions of others. If you insert yourself into the conversation in a you-can’t-do-that tone, you’ll likely get both of the people upset with you. 2. If you have a relationship with the person spewing the hatred, then feel free to reach out as a friend privately and speak to them about how others might see their attack or hate post. Is this something you want others to think when they think of you? 4. If the attacks are personal and getting heated to the point where it could turn into something violent, then don’t hesitate to report the issue to the social network. But I see this as only a last resort.